Rules of Life: St. Patrick’s Day | Hello Neiman! Ah, St. Patrick’s Day. The one day a year we all can legitimately get away with being a drunken disorderly stain on society. One may think that a day officially slated as an excuse to drink whiskey and green beer starting at 8am would come with no rules or regulations. But do not be caught on St. Pat’s this year with your pants down (literally), heed the rules of life on this glorious day, and you’ll be sure to make enough friends to hold your head back after the 18th Irish Car Bomb. It is ok to proclaim your love for Ireland one day a year, but don’t mock the good people of Hibernia by introducing yourself with a humorous O or Mac. There never was an O’Smith or MacJohnson and there never will be. Yes, Hibernia is the Latin name for Ireland, and although fitting for a blog, don’t try to use it at the pubs. It has no place when green beer is involved. Beer tastes better if served green. I don’t care if you only order Sam Adams Utopias when you go out, you’ll drink a green Miller Lite, and you will like it. For one day a year (hangover remedies excluded) drinking as soon as you wake up is allowed. But to be fair, start with an Irish Coffee. If you are not Irish, and you are wearing a “Kiss Me I’m Irish” shirt, you deserve to be hit. Don’t plan on going to the parade, you aren’t going to make it. You waited all morning to finally get that table, and then the bar-wide rendition of “Danny Boy” is more entertaining anyway. Riverdancing is never allowed, period. Either leave it at home or give your phone to a friend. When you start drinking at the crack of dawn, it’s only a matter of time before you start texting your Ex and saying something stupid. Additionally, never invite your Ex to the pub with you, it’s only a matter of time before something worse happens. Good Irish music has a fiddle, not a synthesizer. I know the Irish are known for their willingness to drop everything for a good fist-fight, but please don’t start fights at the bar, you might spill my Guinness. 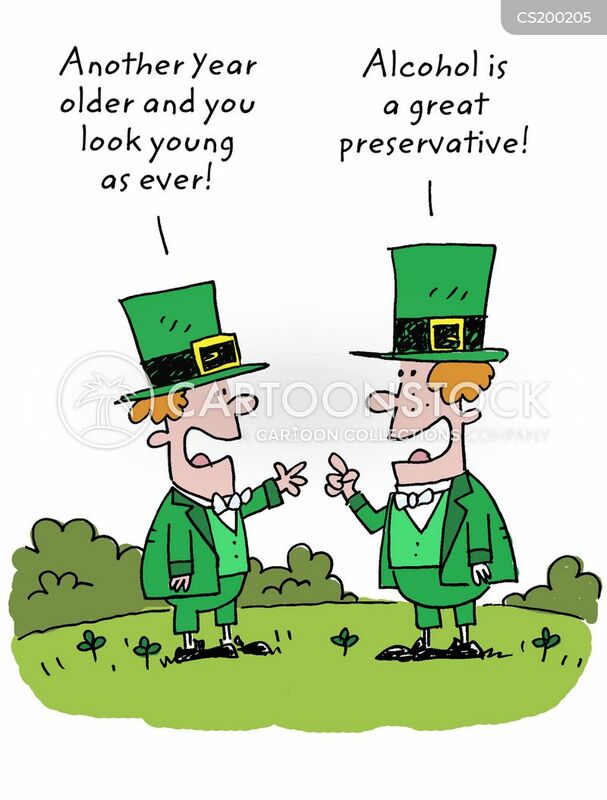 And last but not least: Although St. Patrick’s Day is officially March 17th, much like Halloween, it can be celebrated on any weekend before or after the 17th. So, if you are a true loyalist, I’ll see you at the bar every night between today and the 21st. “An Irishman is never drunk as long as he can hold onto one blade of grass to keep from falling off the earth.” Happy St. Patrick’s Day! i think also, a good rule if you’re local at least, is to ride the bus. on st paddy’s it’s free AND entertaining.